It’s 18mm x 9mm in size which is the same footprint as a 14-pin dual in-line IC socket. 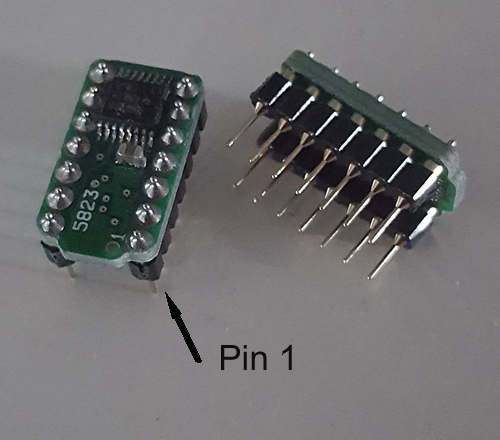 Devices are now fitted with turned pins, which means that they can be plugged directly into sockets and be soldered in without having to increase the size of the holes in the PCB - a neat solution to a problem of unavailability. MM5823N is now available in four set-price packages of 1, 3, 6 and 12 chips. Please select the quantity you require. If you need more than 12, please contact us for prices. Price includes standard shipping worldwide. Price includes VAT at the prevailing rate where applicable. All import duties and taxes are the customer's responsibility.